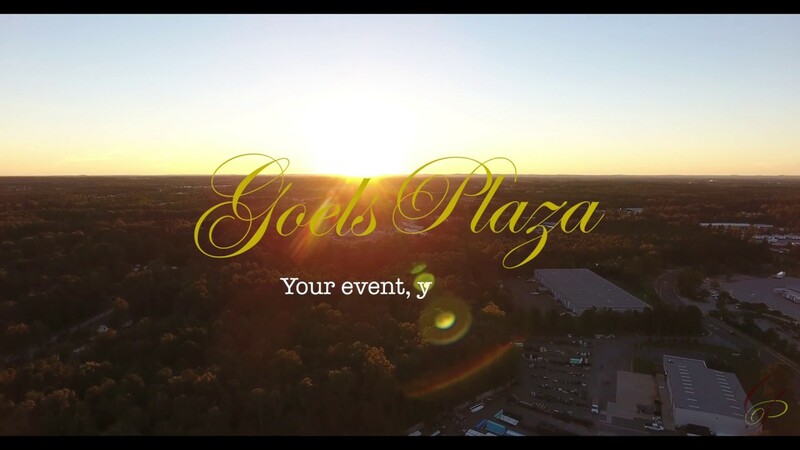 Goels Plaza provides a venue for family and corporate events in the Triangle area of North Carolina. As a full-service venue we can offer you services from planning the event to entertaining your guests. Customers at Goels Plaza always get excellent customer service and individualized attention so that they feel that their event is “The Event”. Get a glimpse at one of Triangle’s top-ranked banquet halls – Goels Plaza. Pranav Gandhi, a producer from Eye In The Sky Studio Productions and the local talent behind this short movie, brings 4K quality, drone technology, and a creative point-of-view to help envision how Goels Plaza can help make your next event a reality. We welcome you to come in for a personal tour. ‘Share’ to support the local businesses in this area! Goels Plaza is the ideal wedding venue. It has five ballrooms sized and priced to accommodate any wedding with a staff willing to help as little or as much as you want. Goels Plaza is an excellent place to host corporate and business events. Goels Plaza is capable of hosting anything from a holiday party to a business expo. Goels Plaza is the ideal venue for any special event or occasion. Its five ballroom layout provides a flexible and varied selection to suit any needs. "Thanks to your wonderful team for your assistance in planning our 2009 prom and making it sensational for our kids. Your staff was so professional and accommodating. This was our first prom off-campus in ten years. The space was elegant with lots of room for dancing. The food was great and the selection was plentiful. We look forward to returning in 2010 and many years thereafter." Principal John Williams had personally called the management of Goels Plaza and congratulated them for having such a unique facility that he thoroughly enjoyed together with all the faculty and students. Middle Creek High School has conducted multiple proms at Goels Plaza and would love to do more. "From initial meeting to event completion, I found their staff extremely responsive and helpful. Provided good suggestions for every detail. High quality of services provided during the entire event made the evening enjoyable to all. I would recommend this facility to any person or corporation in holding their event of any size." "It was a great experience from start to finish. I truly enjoyed the overall customer service and the elegance of the facility. I will for sure recommend to my family and friends to use this facility, and I plan to use the facility again in the near future." "The overal service provided by Goels Plaza met our expectations. They were helpful in planning our event and were responsive to our needs. We found the facility to be neat and clean, and we received several comments from our guests as to the spaciousness of their banquet room. All our requests were met by their staff in a professional and timely manner. We will certainly recommend Goels Plaza." We host your event exactly the way you want it. We are the largest privately owned banquet facility in the Carolinas. Centrally located in the heart of the Triangle. We allow outside catering if you like to provide your own. No Surprises! We charge exactly what we tell you upfront.